combustion resistance tester, and it can detect fabric and plush toys vertical combustion performance. 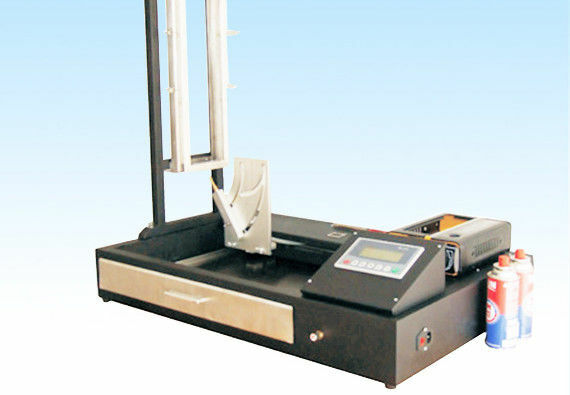 Vertical combustibility tester in the test need artificial ignition, automatic extinguished. This tester is equipped with electromagnetic valve, burner and precision switch ignition wire. 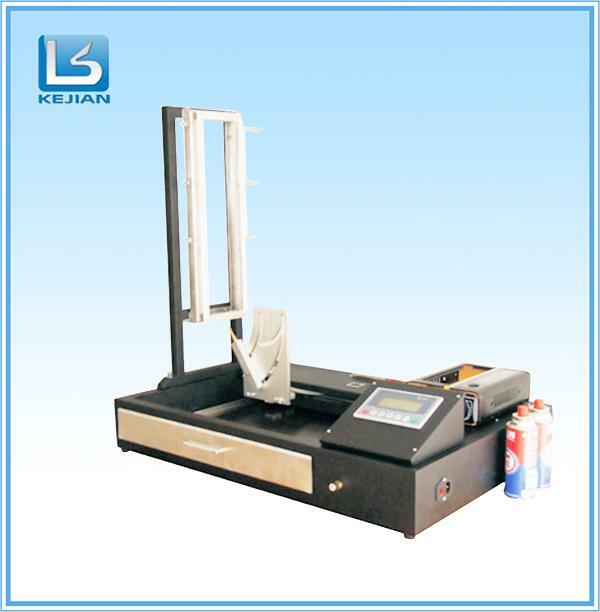 Equipped with PLC control, friendly man-machine interface, has the data analysis function. Different test standard requirements of different accessories, igniter and configuration, please indicate the required specifications. 1. Advanced structure ensure that bracket and specimen separate freely and specimen drop freely through bracket rapid downward motion then rotation movement. 2,Pneumatic automatic chain, preventing swing arm unusual break away. 3,Extensible support bracket and baseboard. 4, It delivers perfect test for specimen side, edge and corner.